This month, we here at PQL are over-the-moon excited to finally release P. K. Page’s Mexican Journal! The diary has remained unpublished until now, and acts as a companion to the popular Brazilian Journal. 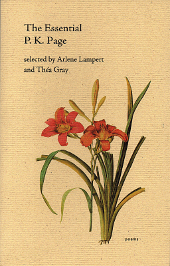 Mexican Journal documents Page’s life as wife to the Canadian ambassador to Mexico in the early 1960s, taking readers through a period of artistic and spiritual awakening. In Mexico, she studies surrealism as well as the mystical teachings of Sufism, while struggling with the darkness of the Mexican night—and her own personal dark night of the soul. I was first introduced to Page’s work as a graduate student at Trent University. P. K. Page is big news there. The English department is engaged in a huge project that proposes to publish her collected works, and you can’t get through an English degree there without first reading some of her poetry or life writing. I started out my Page education with The Hidden Room and Brazilian Journal, and was also privileged to experience her artwork on a daily basis. The graduate colloquium room was filled with her work, including Stairwell (which graces the cover of The Hidden Room, Volume One) and Dance, which hung in state above the hearth. Reading Page and viewing her artwork are like being dunked head-first into a beautiful, highly detailed world full of exotic sights and sounds—an experience that I (and likely any other Trent-educated Page convert) feel duty bound to share. In keeping, here are a few recommendations to get you started—or continuing on your way—into an appreciation of this dynamic and multi-talented artist. If you’re going to dip your toe into the waters of Page’s poetry, this book is perfect for you. A pithy 64 pages, this handsome collection—part of our ongoing Essential Poets Series—will whet your appetite with some of Page’s best known and best loved poetry, as well as a critical introduction and author biography to get you started. 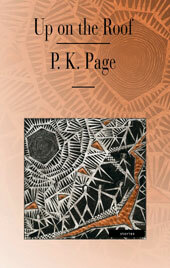 Shortlisted for the Griffin Poetry Prize, Coal and Roses is P. K. Page at the top of her game. 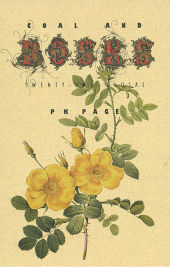 Consisting of twenty-one intricate glosas, Page responds to poets like Dionne Brand, Wallace Stevens, Jorge Luis Borges and many others in an eclectic overview of the history of poetry and master class on the evolution of language. 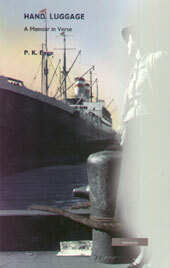 Known primarily as a poet, Page was nevertheless adept at fiction writing as well. Up on the Roof is a collection of short stories that meditates on notions of fact, fiction, truth, and identity. Though a different genre for her, Page proves that she can still engage with the themes and motifs that are central to her poetry and her artwork. Hand Luggage is uniquely billed as a memoir in verse. In it, Page looks back on a distinguished and passionate life, filled with exotic locales, world leaders and a few trivial details of day-to-day life for the wife of the Canadian ambassador. She recounts living in Australia, Brazil and Mexico and meeting with Nehru, DeGaulle and the Kennedys, alongside commentary on the condition of pipes and wiring in embassy housing. An engaging account of a life well lived. An enchanting journal of three years spent in Brazil during the late 1950s, Brazilian Journal offers an unprecedented window into Page’s life. The people, the wildlife and the colours of Brazil infuse her words, and she documents her at times theatric diplomatic responsibilities with charming wit. If there’s one book to prepare you for Mexican Journal, this is it. 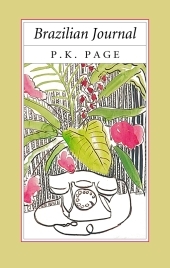 And there you have it: five must-read books by P.K. Page to get you fully hooked before the release of Mexican Journal. (Devious, yes, but I feel no shame.) Hope you enjoy reading at least one of Page’s magical books—you won’t regret it! Now, what do you think? What are your favourite Page works? Share in the comments below, or on Facebook or Twitter! This entry was posted in Letters from the Porcupette (the Intern's Blog) and tagged Brazilian Journal, Coal and Roses, From the Vault, Hand Luggage, Mexican Journal, P K Page, The Essential P. K. Page, Up on the Roof. Bookmark the permalink.